This week, the two South Florida congressional representatives who help co-chair the House of Representatives Bipartisan Task Force for Combating Anti-Semitism, which has more than 100 members, backed a resolution condemning the attack on the Tree of Life synagogue in Pittsburgh that killed 11 people at the end of last month. U.S. Rep. Mike Doyle, D-Penn., introduced the resolution on Tuesday and co-chairs of the task force weighed in on it on Thursday. Retiring U.S. Rep. Ileana Ros-Lehtinen, R-Fla., the first woman to lead the U.S. House Foreign Affairs Committee, and U.S. Rep. Ted Deutch, D-Fla., are two of the co-chairs. Other co-chairs include Republican U.S. Reps. Chris Smith of New Jersey, Kay Granger of Texas and Peter Roskam of Illinois and Democrat U.S. Reps. Nita Lowey and Eliot Engel of New York and Marc Veasey of Texas. The co-chairs of the Task Force weighed in on Thursday in a joint statement. “We are proud to join Representative Doyle in introducing this resolution, which condemns the anti-Semitic attack on the Tree of Life synagogue building; honors the victims, the injured, and their families; applauds law enforcement and first responders; and reaffirms US commitment to defeating anti-Semitism in all its forms. 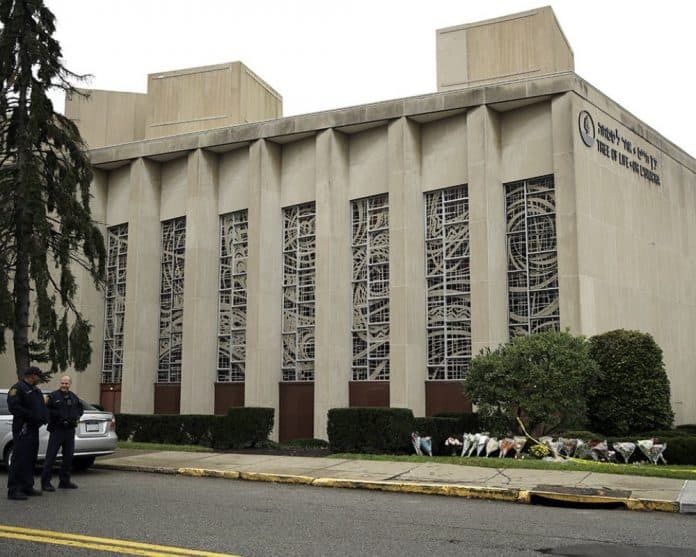 This heinous attack, which took the lives of 11 innocent people, simply because they were Jewish, was a horrible reminder that this age-old bigotry is alive in the 21st century. We hope our colleagues will join us in swiftly passing this resolution and standing in solidarity with Jewish communities around the world,” they said. In recent years, Ros-Lehtinen has led the U.S. House North Africa and Middle East Subcommittee where Deutch was the top Democrats. Despite their partisan differences, the two South Florida representatives teamed up on a number of occasions, including on providing aid to nations like Israel and Jordan and in opposing then President Barack Obama’s nuclear deal with Iran.